The Book of Mormon suggests that the original Native Americans descended from a small band of Israelites. However, there exists no credible archaeological evidence proving that the Book of Mormon is a record of literate ancient American people of Hebrew descent. 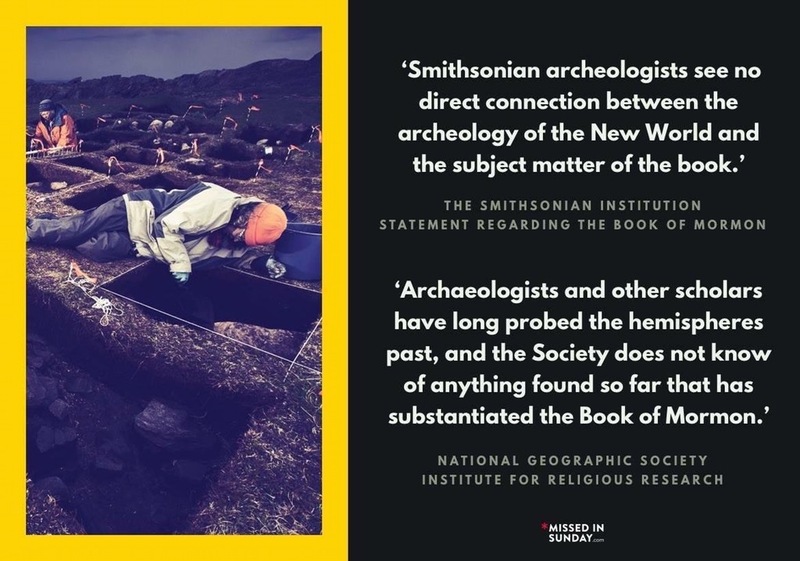 No credible archaeologist or society such as National Geographic or The Smithsonian Institute support the Book of Mormon as an authentic record based on archaeological evidence. Michael Coe, a Mesoamerican Archaeologist from Yale, concludes: “As far as I know, there is not one professionally trained archaeologist, who is not a Mormon, who sees any scientific justification for believing the foregoing.” Church leaders discourage attempts to align the Book of Mormon narrative with actual locations. One hundred years ago, B.H. Roberts queried, “Shall we boldly acknowledge the difficulties in the case, confess that the evidences and conclusions of the authorities are against us, but notwithstanding all that, we take our position on The Book of Mormon and place its revealed truths against the declarations of men, however learned, and await the vindication of the revealed truth? Is there any other course than this? And yet the difficulties to this position are very grave. Truly we may ask who will believe our report? …Again I ask, is silence our best answer?” (Studies of Book of Mormon, 115). 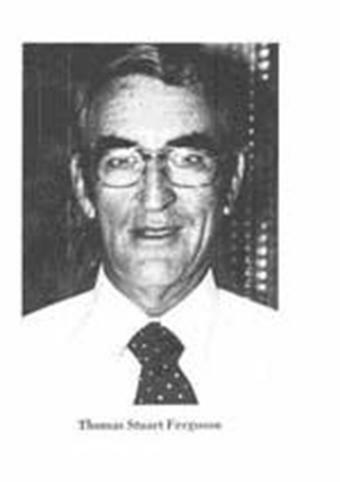 As we begin to explore Mormon archaeology, it seems appropriate to introduce the fascinating history of Thomas Ferguson, an amateur Mormon archeologist who dedicated decades of his life to the search for Book of Mormon evidence. Though previously denied in 1951, the Church agreed in 1953 to fund a $15,000 “private donation” so long as no publicity connected the Church to Ferguson’s search. In 1955, the Church committed an additional $200,000 to fund four years of search. His explorations and writings were most active between 1946 -60’s, but ceased when the Book of Abraham papyri were found in 1967 and proven not to contain the text from Joseph Smith’s translation. No entity outside of the Mormon Church refers to Reformed Egyptian. Despite the translation of Egyptian and numerous American Indian languages, Reformed Egyptian remains unknown. (Mormon 9:32-34) It is improbable that the Egyptians exerted sufficient influence over the Jews to entice them to adopt their language and literature in 600 BC. No unequivocally ancient inscriptions have been found in Hebrew or anything remotely Egyptian in the Americas. There is no such language – not in Old World; certainly not anywhere in the Americas. Philologic studies have divided the Indian languages into 5 distinct linguistic stocks which show very little relationship to each other. It strongly indicates that the division of the Indians into separate stocks occurred long before their language developed beyond the most primitive articulation. 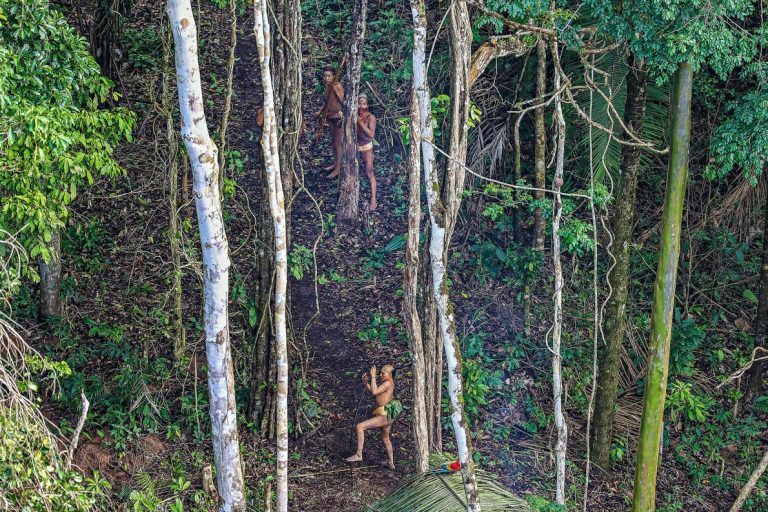 The Book of Mormon presents astonishing hurdles for pre-Columbian Indians. The record states that Mormon “wrote an epistle unto the King of the Lamanites” before the epic final battle, making it clear that both Nephites and Lamanites possessed the ability to read and record a shared, sophisticated language from Lehi’s landing to 400 AD Nephite prophets throughout the Book appeal to scriptures had among the people, as if they were widespread and numerous. The narrative suggests “…many books and many records of every kind…handed down from one generation to another…the scriptures are before you…search the scriptures…brought forth their records which contained the holy scriptures and cast them into the fire…” Note that not one single of the 303 proper names found in the Book of Mormon has been discovered on the thousands of deciphered inscriptions in the New World (see: Natural Born Seer, 395, 1 Nephi 20-22, 2 Nephi 6-24, Helaman 3:13-16, Alma 13:20, 14:1, 14:8). B.H. Roberts studied Native American Languages based on the idea that The Book of Mormon shows people all able to converse with one another. His findings were not supportive of the text. He noted that it would take much longer to develop such diverse dialects if they arose from a common origin, and that there exists no connection between the American languages and any of the Old World. 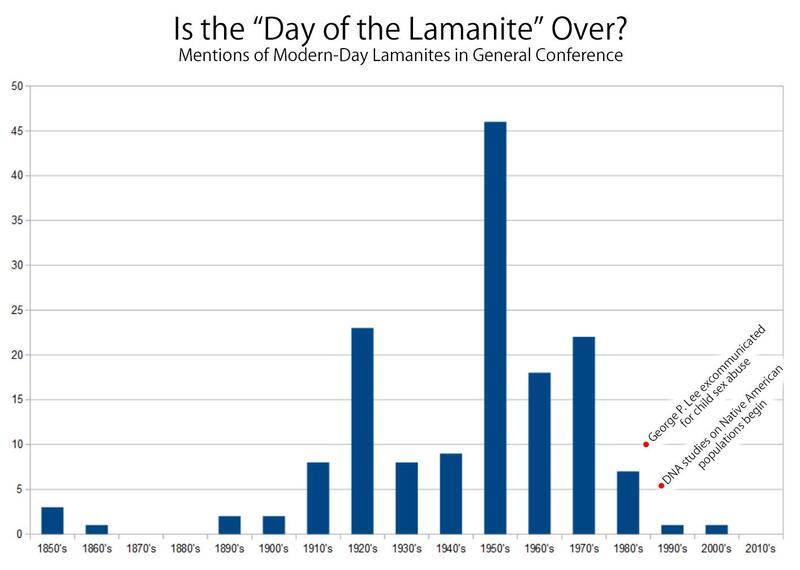 The time limits named in The Book of Mormon were simply insufficient to account for vast divergences (see Studies of Book of Mormon, 91–92). Only the Maya had a complete written language in Pre-Columbian Americas, and it’s not terribly sophisticated. Over twenty Mayan languages have been reliably translated, yet none mention similar history or contain Egyptian writing. The Olmecs had limited language, not nearly as complete, and the geography is totally wrong. Neither has any resemblance to Hebrew or Egyptian. The few attempts to link Jaredite names with Olmec language are deeply flawed. The Book of Mormon presents a unique claim that plates of brass or any metal were regularly used in Middle East around 600 BC to record detailed histories. The only instance of writing on alloy, copper/lead turned out to be hoax – as similar metal plates were not used in the Americas or Jerusalem. In addition to the notion of plates themselves, Laban’s brass plates would be the ONLY metallic writing of Demotic script in existence, the ONLY collection of the five books of Moses, and the ONLY book version of the five books of Moses at the time. In addition, it was written in Egyptian, not Hebrew – astonishingly unique attributes for one item (see 1 Nephi 5: 11-15). The Book of Mormon suggests that the Hebrews invented transoceanic navigation, twice, only to seemingly abandon the technology upon reaching their destinations. There exists no evidence of people of the era possessing transoceanic navigation skills of such grand nature. The first crossing involved eight submersible barges, built “tight like unto a dish” and loaded with farm animals and a copious volume of supplies. They miraculously bobbed and rolled across the ocean for 344 days, driven by a “furious wind”, conveniently landing in the same location. We are later instructed that Nephi and his tiny clan built a large sailing ship. Obtaining sails for a vessel of the scale described is no small feat, as one must locate and shear hundreds of sheep, build a loom, make string and patching, etc. History instructs that a common Viking sail was 100 sq. meters and required 200 sheep. Every square meter of sail required at least 2 sheep fleeces. So we are talking about 200 sheep just to weave, not including the thread or anything else. Only sheer a sheep once a year – assuming of course that you have shears. During this purported effort, the population of Lehi’s entire clan was 25-30, including children. After wandering in the desert for 8 years, how would Nephi extract iron from rock, much less build a massive boat, lacking tools? We learn that Nephi went to find the iron to build the tools he did not have; but without tools how would he mine the iron out of the mountain? The effort must have occurred within just a few miles of the boat or Nephi’s small clan would also have been required to build extensive infrastructure to transport tons of rock. How many have attempted to move even one ton of rock, using the finest modern tools? The rudder wasn’t invented until the 12th century, so this would be the first known use of rudder assisted navigation as well. Even the mighty Vikings, Phoenicians and Greeks all bounced along their coasts, raiding and trading among villages for food and supplies. Regardless, the largest challenge of transoceanic sailing would be maintaining a massive supply of fresh water. Where did Nephi store a rail car worth of water, unless perhaps he also mastered watertight barrels? 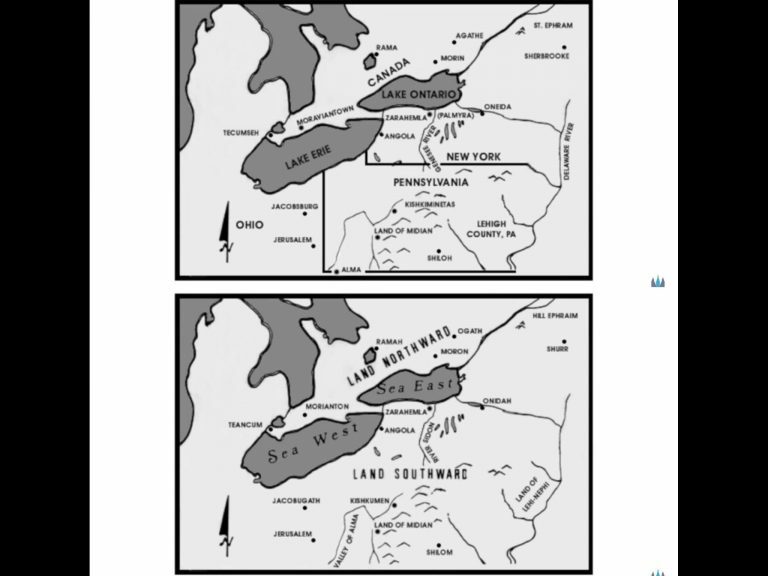 The Book of Mormon postulates the lands as uninhabited except for Jaredites, Mulek and Lehi’s clan. The land was “…preserved for a righteous people,” explicitly “kept from the knowledge of ALL other nations.” (Ether 2:7 / 2 Nephi 1:5-9) The Jaredites went “…into that quarter where there never had man been.” The urgent need to bring Ishmael’s daughters further reinforces the understanding that the clan would encounter no others upon reaching the promised land. Elder Jeffrey Holland reiterated how, “Such a special place needed now to be kept apart from other regions, free from the indiscriminate traveler as well as the soldier of fortune. To guarantee such sanctity the very surface of the earth was rent. In response to God’s decree, the great continents separated and the ocean rushed in to surround them. The promised place was set apart. Without habitation it waited for the fulfillment of God’s special purposes” (A Promised Land, Ensign, June 1976). The Book of Mormon narrative “…assumes throughout that there were no other inhabitants in all that land. There is no mention or assumption of coming in contact with any other people. They are sole possessors of it. …What is required is evidence of an empty America 3,000 BC, into which a colony from the Euphrates valley may establish a race and empire with an iron and steel culture, developed language…and then pass away, become extinct about 600 BC…leaving the American continents again without human inhabitants” (see Studies of Book of Mormon, 117-119, 142). The 1842 Wentworth Letter was the first record of the Church officially stating that Native Americans are the primary descendants of the Lamanites. 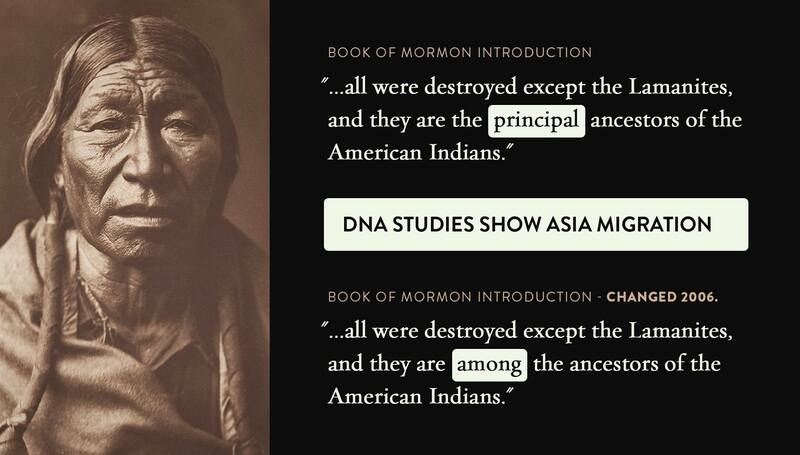 In 2006, facing increased scrutiny, the Church changed the preface from “they are the PRINCIPAL ancestors of the American Indians” to “AMONG the ancestors.” It left the word principal in the Spanish versions and encouraged its missionaries to continue telling the darker skinned crowd that they’re all Lamanites. There is no room for argument that the Book is to have occurred in the U.S. mainland, later expanded to include all of the Americas. Virtually every Church leader from Joseph Smith to modern day has reiterated this interpretation. In the 1842 Wentworth letter, Smith stated that “the history of ancient America is unfolded” in the Book of Mormon. He added that the “Jaredites were destroyed about the time that the Israelites came from Jerusalem, who succeeded them in the inheritance of the country” (History of the Church 4:537). On June 4, 1834, on his way to Missouri, Smith arrived at the Mississippi River and wrote a letter to Emma identifying the country as Nephite territory. “The whole of our journey…wandering over the plains of the Nephites, recounting the history of the Book of Mormon, roving over the mounds of that once beloved people of the Lord, picking up their skulls and bones, as proof of its divine authenticity” (The Personal Writings of Joseph Smith, 324). On Sept 25, 1838, while Joseph Smith traveled through Missouri, “told the brethren that that place…was the ancient site of the Book of Mormon city of Manti” (George Reynolds, Janne Sjodahl, Commentary on the Book of Mormon, 2:324). In 1838, Smith named a place near Far West, MO Tower Hill “in consequence of the remains of an old Nephite altar or tower that stood there” (History of the Church 3:35). 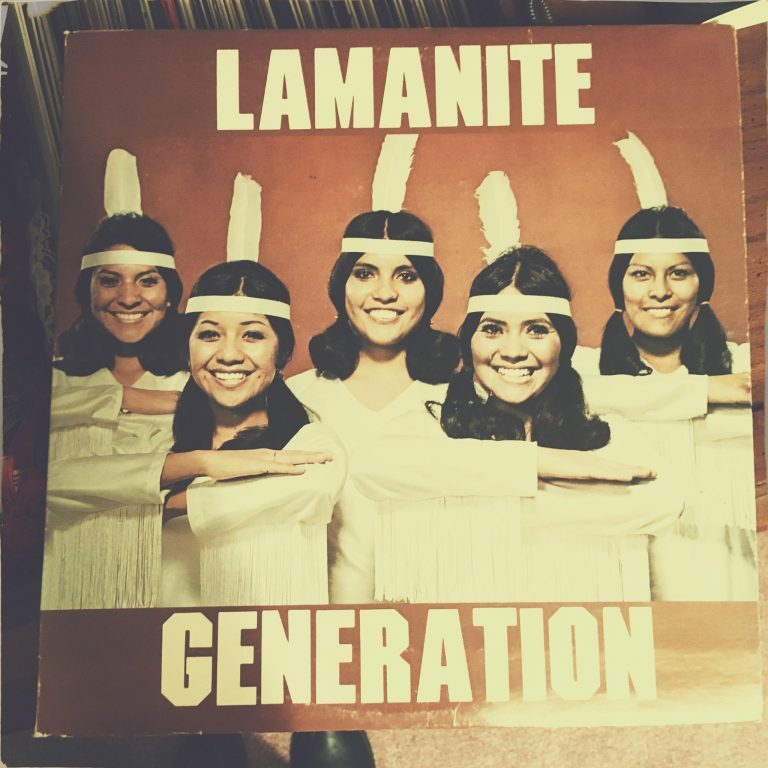 See D&C 3, 10, 19, 28, 30, 32, 49, 54 – each chapter names American Indians as Lamanites. The 1888 large-print Book of Mormon edition, printed in Salt Lake City, provided dates and specific geography references. The “sea south” was the “Atlantic, south of Cape Horn.” The “sea north” was explained to be the “Arctic, north of North America.” The “sea west” was the “Pacific,” and the “sea east” was the “Atlantic.” (Book of Mormon, 1888 Ed., 434). See Natural Born Seer p. 487-500 for an extensive listing of clearly identified locations across multiple continents. The Book of Mormon is not about a small number of colonists tucked away in a corner of Mesoamerica, as “they did multiply and spread…to cover the face of the whole earth, from the sea south, to the sea north, from the sea west to the east sea” (Helaman 3:6-16). They grew until they were “as numerous almost as if were the sand of the sea.” (Mormon 1:7) “And the people…did dwell…in houses of cement…all manner of their buildings…did send forth much by way of shipping.” (Helaman 3:9-10 ) “And they build a great city by the narrow neck of land, by the place where the sea divides the land…And the whole face of the land northward was covered with inhabitants…all manner of tools to till the earth, to plough” (Ether 10:20-28). Mormon claims that when he was 11 years old, he “was carried by my father into the land southward, to Zarahemla. “The whole face of the land had become covered with buildings, and the people were as numerous almost, as it were the sand of the sea” (Mormon 1:6-7). The Nephites are said to have constructed a grand temple after the model of Solomon – simpler but of “exceedingly fine workmanship.” (2 Nephi 5:16 ) Is it not amazing how they accomplished it so soon upon the completion of their transatlantic voyage, with perhaps 50 -100 people, while also establishing everything needed to survive in undiscovered lands? 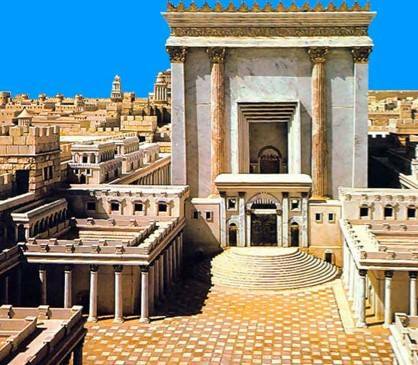 By comparison, Solomon’s Temple in the Bible required 180,000 workers over 7 years. No ancient structure has ever been found in the Americas remotely resembling the temples in Jerusalem with which Nephites would have been familiar. “Is it not pertinent to ask, is this statement from a great historical document, by one who knew Solomon’s temple through all his boyhood and young manhood, or is it the reckless statement of an undeveloped mind that knew not what he was saying – which?” (Studies of Book of Mormon, 261). The Book of Mormon describes concentrated populations of millions of people, spreading across the entire face of the land. This proposition would require a population growth orders of magnitude greater than anything possible until the agricultural, industrialized era of the 20th century altered the precarious human condition. Historical human population bases are well documented and small. Sickness and starvation were constant threats, early death the norm; life was “nasty, brutish and short.” The math is further complicated by the millions who were destroyed in almost constant battles throughout the narrative. Spend just a moment to ponder the routine famines which have occurred around the globe – Africa, China, Russia – not very long ago, even during times of peace and with the benefit of irrigation and industrial machinery. It is simply not possible to feed millions using hunter-gatherer methods, much less without leaving any trace. The civilizations introduced in the Book of Mormon were purportedly similar in size to the Roman Empire, which reached its peak around 117 AD. You can’t turn over a rock in Europe without finding an old coin, road, structures, etc. Roman remnants linger in the language, DNA, culture, technology, fauna and flora. 177,000 Roman artifacts were found in just 12 miles of highway construction. Roman coins from 300 AD. have been found as far away as Japan and are so plentiful they can be purchased on eBay for $10. 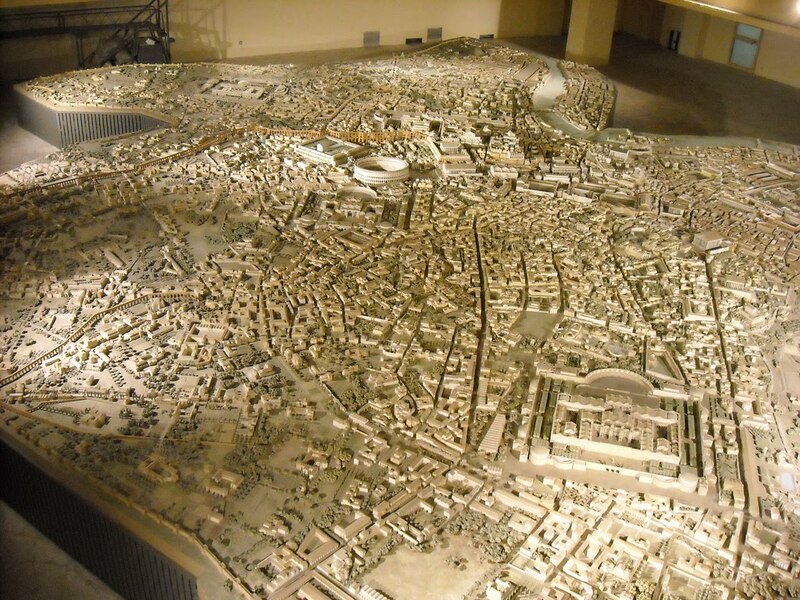 So much is known of ancient Rome that intricate scale models have been constructed. Yet in the Americas, not a shred of similar evidence supports the existence of Lamanites. 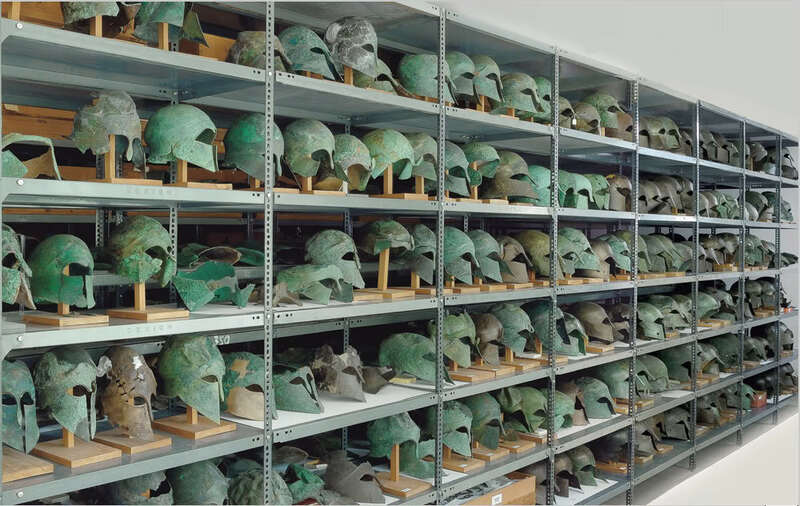 This is what ancient Roman helmets look like today. Not a single piece of Lamanite armor has been discovered. Alexander the Great conquered most of the known world in 300 BC (contemporary with Moroni) with 40-80,000 troops. Countless items validating the existence of Alexander exist. Troop movement was not a minor obstacle prior to the 1700s. Provisions were incredibly difficult and camp-followers/camp-wives were large in number. Such daily realities are never mentioned in the Book of Mormon. We have no alternate records, no discussion of troop movements, no details other than stated numbers of deaths; no evidence of battle in any location on this scale, nor mounds of skeletons to back it up. This is an extraordinary claim, requiring extraordinary evidence. Many defined Book of Mormon distances are problematic. The Book details how Lehi’s family traveled from Jerusalem to “near the shores of the Red Sea” in just three days, with family and provisions in tow (1 Nephi 2:4-6.) The nearest point from Jerusalem to the Red Sea is 175 miles. The Book of Mormon provides additional definitions of distance, which one might think could enable the location of at least one Lamanite city. 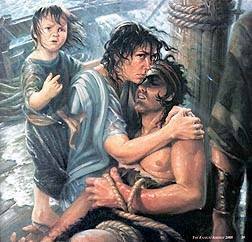 Alma, also with women and children in tow, traveled from Nephi to Zarahemla in 21 days, a journey of perhaps 300 miles at best (Mosiah chapters 23-24). There exists a “narrow neck of land” (Alma 22: 31-33; 63:5) which required only a day and a half walk from east to west sea (Helaman 4:7). Triangulation may be assisted by the existence of a Land Northward, Land Southward, Sea West, Sea East, even a fantastical Land of Desolation with many bones. The official 2008 LDS Study Guide used in youth Seminary classes, contains a map titled Possible Book of Mormon Sites. It cautions the reader that, “No effort should be made to identify points on this map with any existing geographical location.” While doubling down on the notion of the Book of Mormon being an actual record, the Church reminds members that any search for actual geography is a faith destroying exercise – “fruitless, no definitive results…undermines faith” (Deseret News, July 29, 1978). LDS leaders from Joseph Smith to modern times have made explicit statements identifying all North and South American Indians, as well as Polynesian Islanders, as Lamanites. This hemispheric theory suggests a Book of Mormon encompassing thousands of miles of geography stretching potentially from Canada to South America. Joseph Smith stated that ALL indigenous peoples of the Americas were literal descendants of the tribes of Israel. For 150 years, Smith’s statements were taught in earnest throughout the Church. A limited geography theory stemmed from the expanding discoveries of Central America and Mayan language. Smith, Oliver Cowdery, Hugh Nibley and many others are on record as specifically identifying Mayan temples as Lamanite dwellings. Many have tried and failed to make Mayans fit Mormonism’s unique narrative. Joseph Vincent, editor of California Archaeologist, explained at a 1963 BYU symposium that “all Book of Mormon lands lie within a five or six hundred mile radius…and could not possibly extend from Chile to New York.” Apologists who espouse limited geography directly contradict numerous clear statements and practices of Mormon prophets. The notion directly contradicts the Church’s claims of epic battles at Cumorah, N.Y., as well as Smith’s revelation of a white Lamanite named Zelph. Joseph Fielding Smith went so far as to unequivocally reject the limited geography theory. 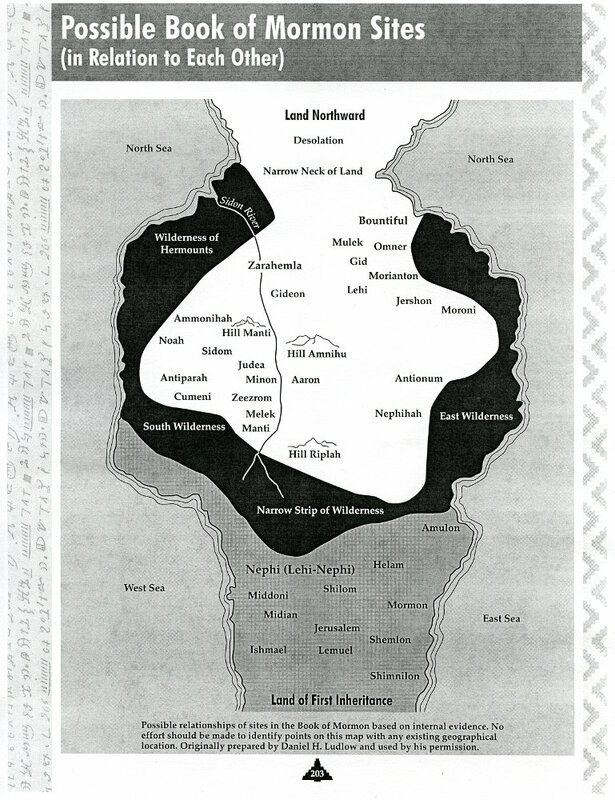 “Although some have suggested a number of alternative geographies which reduce the size of Nephite lands, none fulfills the orientation requirements for the Book of Mormon’s isthmus without serious manipulation of text and terrain” (Joseph Smith, The Making of a Prophet, Vogel, 230). “Stephens and Catherwood’s researches in Central America abundantly testify of this thing. The stupendous ruins, the elegant sculpture, and the magnificence of the ruins of Guatemala, and other cities, corroborate this statement, and show that a great and mighty people – men of great minds, clear intellect, bright genius, and comprehensive designs inhabited this continent. Their ruins speak of their greatness; the Book of Mormon unfolds their history” (Times and Seasons, July 15, 1842, Joseph Smith, Editor). Prophet John Taylor said “The story of the life of the Mexican divinity, Quetzalcoatl, closely resembles that of the Savior; so closely, indeed, that we can come to no other conclusion than that Quetzalcoatl and Christ are the same being. But the history of the former has been handed down to us through an impure Lamanitish source, which has sadly disfigured and perverted the original incidents and teachings of the Savior’s life and ministry” (Mediation and Atonement, 194). The Mayans left calendars with various dates etched in stone, enabling us to firmly establish their chronology. Their society does not fit the Book of Mormon timeline. Nevertheless, various Mormon leaders, including Joseph Smith, have suggested Mayans as Lamanites. The Church aggressively proselytized Pacific Islanders, preaching that their heritage is contained in The Book of Mormon. There are countless official references spanning generations. Approximately 60% of the Tongan population is LDS, though inactivity rates remain exceptionally high. DNA and other studies conclusively demonstrate that Polynesians originated from the West, not from Peru in East. Perhaps more than any other culture, the LDS Church’s truth claims are of greatest significance to Tongans. Their rich tradition and unique history have largely been integrated into white American culture at this point, but many local leaders continue to reinforce their verifiable heritage. Even the mound builders and Olmecs have been offered as Lamanites, despite the fact that many items of European provenance are found in the mounds, establishing post-Columbian construction. Most who attempt this theory (Olmec) have no idea how poor a fit this group is – no steel swords, no gold workings; they lived in Southern Mexico, played Mayan ball and are believed to have originated around 1400 BC. “A fallacy similar to that regarding the mound builders fastened itself upon the ancient cliff dwellers…” (Studies of Book of Mormon, 77). “The Mound builders actually resemble the Book of Mormon people not at all. Who said they did? The Book of Mormon tells of a people ages removed from the Mound-builders and very far away” (Tinkling Cymbals and Sounding Brass, Hugh Nibley). An Anachronisms is an item or idea belonging to a period other than that in which it is referenced. For example, the Jaredites’ concern about glass windows as they constructed their barges is an anachronism, as they could not possibly have known of glass in their day. The existence of anachronisms in text raises red flags and authenticity hurdles. Domesticated Animals: In the New World, except in Peru, the dog was the only domesticated animal. B.H. Roberts observed that “The Book of Mormon thoroughly commits us to (animals) presence in America….” Jaredites around 2,247 BC find cattle, ox, cows, sheep, swine, goats, horses, asses, elephants. (Ether 9:16-20) Lehi’s colony finds cow, ox, horse, ore, gold, silver, copper around 589 BC (1Nephi 18:25) Simply saying animals existed that semi-match the description is not what is claimed in the text, but rather, domesticated animals that can be driven and maintained in captivity. Proof of domestic animals has not appeared in any form, physical or artistic. This unique claim goes without answer to this day. (see Studies of Book of Mormon, 98; also Natural Born Seer, 403). Goats & Sheep: Goats and sheep did not exist on the American continent during Book of Mormon times. Pigs: Hernando De Soto founded the American pork industry when he brought America’s first 13 pigs to Tampa Bay, Florida in 1539. Swine are referenced twice in the Book of Mormon, with the suggestion of domestication. Though native javelinas existed, much smaller and somewhat resembling a pig, there is no evidence of them having ever been domesticated. Horses / Wheel / Chariot: Perhaps the most fantastic anachronism is the existence of domesticated horses, mentioned 13 times, in association with chariots. Though horses originally existed on the American continent, they were extinct by 7,000 BC, not resurfacing until 15th Century Spanish colonization. Horses are particularly problematic because they would have revolutionized agriculture, transportation, human expansion and technology in countless ways, leaving indelible marks on the Native American society. Alma 18:9-12 instructs, “Now when Lamoni had heard this he caused that his servants should make ready his horses and his chariots…” “And it came to pass that when Ammon had made ready the horses and the chariots for the king and his servants… Behold, he is feeding thy horses. Now the king had commanded his servants, previous to the time of the watering of their flocks, that they should prepare his horses and chariots, and conduct him forth to the land of Nephi” (see also: Alma 20:6, 3 Nephi 3:22). Elephants: Mentioned in Ether, mastodons and mammoths lived in North America during the Pleistocene era, yet became extinct on this continent towards the end of the last ice age, predating the Book of Mormon by thousands of years. America’s first elephant arrived in 1796 on Captain Jacob Crowninshield’s boat from India. Nephi’s bow of “fine steel” is a unique and important claim, mentioned very early in the text (1 Nephi 16:18). A bow can not be constructed of iron because a bow must have spring to be usable. Steel bows were first invented in India in 269-237 BCE, 450 years after Nephi. Although the Book of Mormon twice mentions that Nephi created steel out of molten rocks, archaeologists of ancient America affirm that craftsman smelted gold, copper, and some silver. South American archaeologists do not find evidence for fully developed smelting practices until four hundred years after Nephi. Near Eastern scholars identify forged steel as early as the 7th century BCE near Jerusalem and in Egypt. 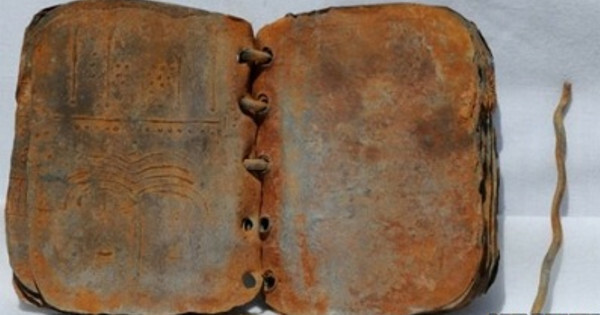 Scholars who defend the historical authenticity of the Book of Mormon question how Joseph Smith could have possibly known that forged steel existed near Jerusalem around the time that Lehi and his family fled the region. However, the more pertinent question is why there is not an abundance of steel forging found in pre-Columbian America if it were indeed introduced to the New World by the descendants of Lehi? As with the rudder and transoceanic navigation, steel falls into the category of something a civilization does not forget once embraced. The common justification is to depict the Book of Mormon people as a geographically isolated and relatively small society. However, such opinions clash with Joseph Smith’s and other prophetic descriptions of vast Nephite civilizations spanning South and North America. As described previously in the essay, the Book of Mormon itself describes a vast civilization covering the entire face of the land. Modern LDS views on the DNA of the Book of Mormon people tend to suggest population diffusion through intermarriage and conquest, blurring the lines between ancient cultural groups as their reason why Semitic DNA strands are missing from population studies. Archaeologists accept population diffusion, intermarriage, and conquest, but readily point out cultural artifacts and practices that become adopted by the dominant group, particularly technological innovations that improve war capabilities. If smelting steel had been introduced to pre-Colombian America nearly a millennia prior to European colonization, we would have expected to see the adoption and proliferation of steel forging among the cultures the Spanish encountered. Simply put, we would see the absorption of such vital technology, rather than its extinction. Similarly, we would have expected to find other cultural and technological distinctions of the Nephites (writing, monetary systems, naming conventions, craftsmanship, artwork, religious systems and symbols, etc.) absorbed into the cultures they theoretically diffused into. Such evidence would be plentiful and inarguable, rather than scant and debatable. A more reasonable argument is that Joseph Smith depicted the mythic Nephite society while incorporating nineteenth-century European assumptions about metallurgy and cultural distinctions. Sword: The sword is mentioned 140 times. Not only are both steel and swords anachronistic to the pre-Columbian American continent, but there were also supposed great battles fought with millions of casualties (greater than the American Civil War), yet not a single artifact has ever been found. Even Mormonism Unvailed in 1834 recognized the steel problem, citing “This is the earliest account of steel to be found in history.” 2 Nephi 5:14-15. suggests they “…did make many swords…” Apologists offer the Macahuitl, a wooden sword with sharpened obsidian inserts, but even that simple device did not appear until much later. Cimeter: The curved, bladed weapon, mentioned 3 times in the Book of Mormon, originated with the Ottoman empire in the 9th Century. Not only is it an Asian word for blade, it’s also made of anachronistic steel. It remains unknown how Lehi would be aware of it, as the word was unused in any contemporary Hebrew literature. Armor: The Book of Mormon describes Roman-style armor of the New Testament. Despite such armor not existing in America, Church sponsored art has depicted it for generations. Even more problematic is how armor appears to come and go in the Book of Mormon. In Mosiah 21:7, Nephites had armor, as did Lamanites in Alma 3:5. Yet by Alma 43:21, Moroni re-invents armor against Lamanites that lacked it. Similarly, Nephi’s sole ownership of the steel bow implies that Jerusalem lost this technology for all their later, well documented wars. Chariot: While mentioned 5 times, often in relation to horses (another anachronism), there is no evidence to support the use of chariots or any wheeled vehicle in pre-Columbian America. Though the concept of a circular wheel wasn’t unknown, a wheeled vehicle, such as a chariot, would require a usable beast of burden, of which there were none. 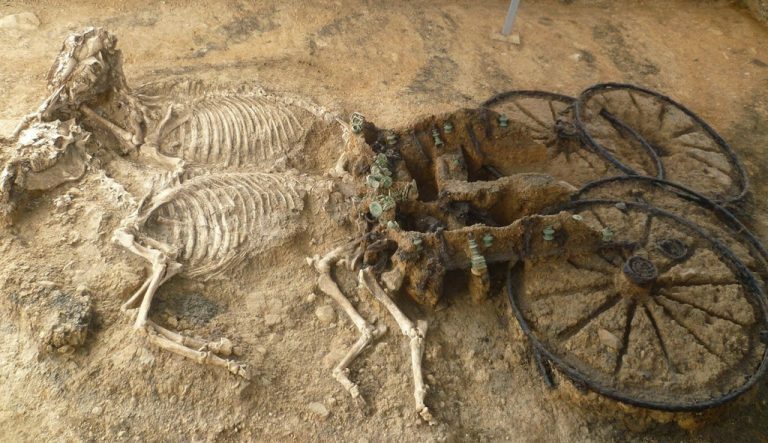 Numerous astonishingly well preserved chariots, many still hitched to their horses, have been uncovered around the world, yet not a single horse or chariot has ever been found in the Americas. Window: The Jaradite barges, reported to have been constructed around 2,200 BC, explicitly mention not having “windows” for “they will be dashed to pieces.” Given that transparent glass was invented in Germany in the 11th century AD, how would Jaradites possess any notion of windows? The scriptural context – that ye may have light in your vessels” – is clearly referring to the window as a source of light. Coins: Before the Church changed the chapter heading in 2015, Alma 11 stated “Nephite coinage set forth.” This was replaced with “Nephite monetary system.” Yet the Book of Mormon does not make a passing reference to coins, rather, it details what a “man owed,” “compelled to pay,” “received for his wages,” “pieces of their gold, silver, according to their value.” There are numerous verses clarifying the specific denominations and relative values of the senine, seon, shum, simnah, antion and shubloom. The text very clearly refers to gold and silver coins. Not one single Lamanite coin of any type has ever been found. The Week: Referenced as the “seventh day” or the Sabbath day in Mosiah, the concept of a 7 day week didn’t originate until well after Lehi left Jerusalem. Silk: Silk is mentioned 6 times, yet it is made from the cocoon of an Asian moth and did not exist in Pre-Columbian Americas (Alma 1:29, Alma 4:6, Ether 9:17, 10:24, 1 Nephi 13:7-8). Barley / Wheat / Figs: Various grains are mentioned 28 times in the Book of Mormon. Wheat, figs, grapes and barley, even tilling of the ground, are mentioned as primary food sources (Mosiah 7:22, 9:9. 18:18; Alma 11:7, 15; Helaman 11:17; 3 Nephi 14:16). Domesticated barley and wheat were introduced by the Europeans after colonization in the 15th Century; no botanical remains of these old world staples have ever been discovered in the Americas. Pollen from wheat and barley is uniquely identifiable by collecting pollen and lake bed samples, yet both remain non existent. Nor were figs native to the Americas during the time. There are plenty of examples worldwide of other more ancient peoples, their bones, dwellings and weapons. We find remnants of countless ancient civilizations if they actually existed. Here are but a few interesting examples. Easter Island: Archaeologists used DNA to determine that Polynesians, not people from Peru, populated the island approximately 700-1000 CE. Plant seeds, extinct plant remains, obsidian weapons, remnants of stone buildings, bones and carbon dating helped confirm that no large animals, pigs or dogs existed there. They also confirmed that the islanders never developed the wheel, but instead rolled massive stones on logs. Their civilization went extinct because of deforestation and an inability to support large populations.